We mathematically analyze a discrete particle swarm optimization (PSO) algorithm solving the single-source shortest path (SSSP) problem. 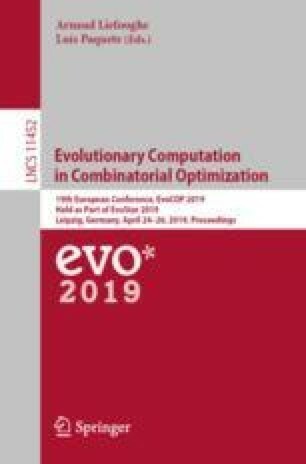 Key features are an improved and extended study on Markov chains expanding the adaptability of this technique and its application on the well-known SSSP problem. The results are upper and lower bounds on the expected optimization time. For upper bounds, we combine return times within a Markov model with the well known fitness level method which is appropriate even for the non-elitist PSO algorithm. For lower bounds we prove that the recently introduced property of indistinguishability applies in this setting and we also combine it with a further Markov chain analysis. We prove a cubic upper and a quadratic lower bound and an exponential upper and lower bound on the expected runtime, respectively, depending on a PSO parameter. The authors would like to thank Bernd Bassimir for useful discussions.